According to official statistics from January 1, 2014, more than 24 children of 1000 live in Cape Verde, have died in the first year of life. In comparison, there are 3 of 1000 in Germany. The rate is an indicator of the level of health protection in a country. In Cape Verde there is a general principle of emergency care: in the hospital, an emergency payment of 100 escudos is treated by emergency. Required drugs are prescribed. Here, a similar principle applies as in Europe: If you are not insured, you have to pay the medication by yourself. Insured pay considerably less. All employees in Cape Verde, also AACTB employees, must be compulsorily insured. Insurance against accidents at work is also compulsory. The employer pays 15%, the employee 8% for an insurance. All non employed persons could insure themselves, but no one can do without a job. Also try very many companies to push the insurance obligation. In general, if a child has to be evacuated to a hospital on a different island, the state usually adopt the costs. Treatment with private doctors is subject to charges. Per treatment you have to pay about 1800 to 3000 Escudos. Private laboratory analyzes, ultrasound, x-ray, etc. have to be paid for themselves. People always have the opportunity to ask the community and associations for help. Also support from family and friends are usual for medical help. The AACTB helps in medical emergencies, e.g. Also for flights to the hospital to another island or provides grants for needed medicines. 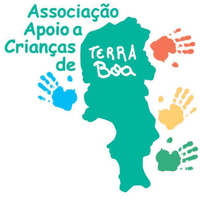 The AACTB is committed to a children centre and thus to its donors, who are responsible for the maintenance of the project. Apart from this commitment, additional aid is granted to individual persons or families only in the context of the financial possibilities and at their discretion, so as not to deprive the family of its own responsibility.